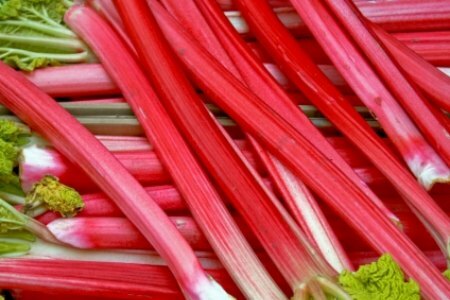 Yorkshire Forced Rhubarb has been awarded Protected Designation of Origin (PDO) status by the European Commission, the legal safeguard that protects traditional food and drink. The PDO award means that only a handful of growers in the ‘rhubarb triangle’ between Bradford, Wakefield and Leeds can use the name. The traditional method of farming involves growing roots in fields for two years, then replanting them in sheds and keeping them in dark, moist conditions for 10 weeks-the lack of light draws energy from the plants’ roots. 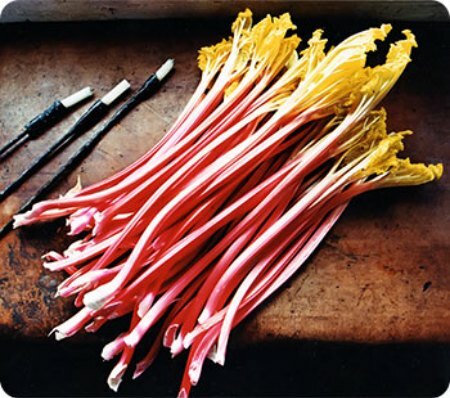 The method was created especially for the soil in that area, and produces sweet, delicate pink rhubarb. In recent years, it’s come under threat, as rhubarb sales have gone down and growers in Holland have imitated the forcing method. There are now only 12 growers remaining in Yorkshire’s ‘rhubarb triangle’. Janet Oldroyd-Hulme, of the Yorkshire Rhubarb Growers’ Association, who applied for the PDO status, hopes that it will boost the local industry and guarantee the local farmers’ future, as well as encourage more tourists to come and visit the Rhubarb Trail. Environmental Secretary Hilary Benn, who was involved in the campaign, said: ‘Yorkshire Forced Rhubarb has been recognised thanks to the quality of this traditionally grown product and the enthusiasm and commitment shown by all involved. 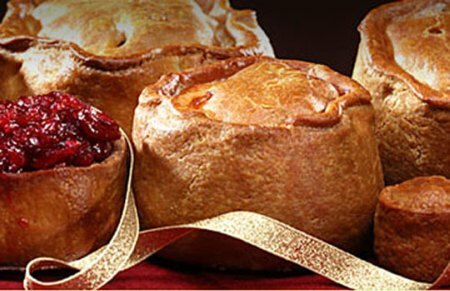 Yorkshire rhubarb is the 41st British product to join this exclusive list, including Melton Mowbray pork pies, Swaledale cheese, Arbroath smokies, West Country Cheddar and Cornish sardines. Other renowned international products that have PDO status include Champagne and Parma ham.